Paddy Marrison (Nee Fisher) talks about her father’s time as a Sea Scout leader and Special Police Inspector. I remember Skip Fisher. In the 1950s we went on scout camp to Sandwich and had somehow managed to get hold of some cider. I was one who got caught with a large bottle and had to hand it over to skip. Never found out what he did with the cider after that. I did see him when I moved to Benfleet in 1972 but not to talk to. The photo of Stan Fisher,1968 was taken after he had retired from scouting and had just opened the new scout HQ to the west of the station. 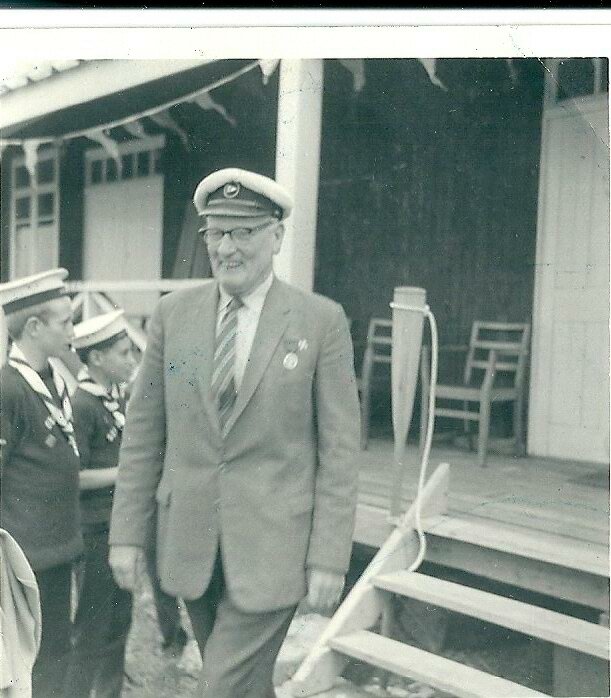 I had taken over as leader of the Sea Scouts. Well done Skip (that’s how we knew him) RIP – Tony Matthews, Patrol Leader Otter Patrol 1952. Stan was a great builder of character with boys in his troop.